Most parents believe that if their child had an eye or vision problem they would know. However, this is far from the truth for a number of reasons. First of all, children often can’t express or don’t realize the difficulty they are having, and often vision problems will be overlooked by the associated behavioral issues that come as a result of frustration. Further, many eye or vision problems don’t show symptoms until they have progressed significantly which often makes the condition harder to treat. Q: At what ages should children have their eyes examined? A: The official recommendations for the American and Canadian Optometric Associations are that infants should have their first eye exams at 6 months. Following that, children with no known vision issues should have another exam at 3 years and then prior to entering kindergarten. Children who do not require vision correction or therapy should have a vision checkup every year or two years and those who use vision correction should have an annual eye exam. Of course if your child is experiencing difficulty in school or after school activities that may be due to a vision problem schedule an eye exam immediately. Q: My child passed a vision screening by the nurse at school. Does he still need an eye exam? A: Yes. Many schools implement a basic vision screening test to assess whether the child sees clearly at a distance, however these tests are limited in scope. They do not assess functional vision such as the child’s ability to focus, track words on a page or the eyes’ ability to work in tandem. They also do not look at the health of the eye itself. These tests are essential to know the comprehensive picture of how healthy the eyes are and how well they are doing their job. In fact, studies shown that up to 43% of children with vision problems can pass a vision screening test! A comprehensive eye exam will assess all of these functions as well as color vision, depth perception, and eye coordination. Q: My child was diagnosed with strabismus and amblyopia. Can this be treated and if so, what are the options? A: Especially when diagnosed early, chances of a complete correction for strabismus and amblyopia are good when treated properly. The optimal age for this to occur is before 8-10 years old. Depending on the severity of the strabismus (crossed-eye), surgery may be required to straighten and properly align the crossed eyes. Amblyopia (lazy eye) can then be treated using eyeglasses, eye patching, or vision therapy to strengthen the weak eye and train the eyes to work together. A doctor that specializes in pediatric optometry can assess the condition and discuss treatment options on an individual basis. Q: What is vision therapy? A: Vision therapy is a doctor-supervised, individualized program of exercises to strengthen the functions of the eye. It is used to correct issues with eye alignment, focusing, coordination, tracking and more. Vision therapy often utilizes tools such as specialized lenses or prisms and involves exercises both during office visits and at home to reinforce the changes. The process usually takes about 6 months to see lasting improvement. Q: My son’s nearsightedness keeps getting worse – he needs a new prescription every year. Is there a way to stop this? A: There is research that shows that progressive myopia can be stopped or slowed during the childhood years. There are a number of therapies that are used for what is called “myopia control” including multifocal eyeglasses or contact lenses, orthokeratology (ortho-k) or atropine eye drops. Speak to a pediatric optometry specialist to learn more about the options and what might work best for your child. Q: Every morning it is a fight to get my child to wear her glasses. What can I do? 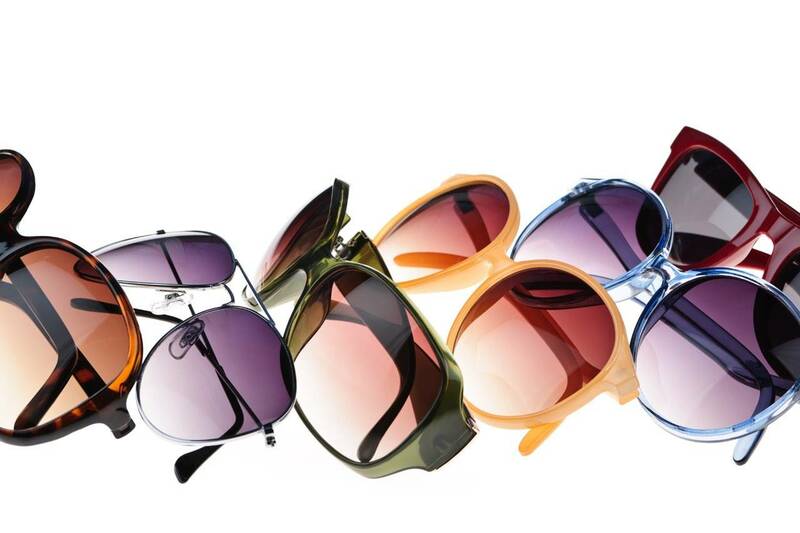 A: It may take time for your child to adapt to the feel of the glasses and to be comfortable seeing with them. For little children, you can find glasses that come with integrated headbands that can help to hold the glasses in place. It helps to be consistent in putting them on to allow the child to adapt to the feel of the glasses. Very often, especially for small children that can’t tell you what is bothering them, the reason for a child’s refusal to wear glasses is that something is not comfortable. It could be that the prescription is not right, that the glasses pinch or that are feeling heavy. It could be worthwhile to take the glasses back to the eye doctor to ensure that they are in fact a proper fit. Q: At what age is it acceptable for a child to wear contact lenses? A: Contact lenses can be a great convenience, especially for kids that are active or tend to break or lose their glasses. However, they are a medical device that must be treated with proper care and hygiene. If a child is not responsible enough to take care of them properly he could end up with a serious eye infection, a scratched cornea or worse. Most experts agree that the youngest age that contact lenses should be considered would be between 10-12 depending on the child’s maturity and cleanliness. Consult with your eye doctor about what would be best for your child.